If you’re curious about electric motorcycles, especially the Ego Corsa that will be used for the new MotoE series, come check out the Energica booth at the New York International Motorcycle Show this weekend. Energica Motor Company Inc. will be present at the New York IMS Show for the second year in a row. This year the news from Energica is significant, beginning with the new Ego Sport Black inspired by Energica’s selection as single manufacturer for the FIM Enel MotoE™ World Cup races in 2019, the introduction of new electronic features on all MY2019 motorcycles and in particular, a new pricing strategy for the U.S. market, taking advantage of the economies of scale, resulting from additional production to match increased worldwide sales. At the IMS New York stand, four bikes will be displayed, the Ego Sportbike, winner of the MCN UK 2017 “Electric Bike of the Year” award, the Eva 107 Streetfighter and also the new Eva EsseEsse9 Retro Naked, which has just received the MCN UK 2018 “Electric Bike of the Year” award. The star of the stand will be the Energica FIM Enel MotoE™ Ego Corsa demo racebike. This is the electric race bike tested throughout the year at demo laps during the MotoGP Calendar, and it is this prototype from which the inaugural FIM Enel MotoE World Cup Ego Corsa race bikes will be developed. In 2018 Energica Motor Company was able to establish a presence in important European and extra-European markets as well as growth in the United States. Currently the U.S. distribution network includes eight dealer locations in California, North Carolina and Texas, with Florida added last month. New dealers in New York State and Nevada are planned to open by the end of the year and an additional nine dealers in other states, by the end of 2019. Energica is now able to announce an important price repositioning for all 2019 models. This is made possible thanks to improved DTC (Design-to-Cost) parameters, and new economies of scale generated by significant retail sales increases worldwide. From 2019 the MSRP for the Energica Ego Electric Sportbike will be on sale starting from $22,565; the Eva 107 Streetfighter starting from $21,656; and the new Eva EsseEsse9 Retro Naked starting from $20,930. Countdown to the first world cup for electric motorcycle racing has officially started. There will be five stages of the inaugural FIM Enel MotoE™ World Cup, which starts in Spain next May on the beautiful 4.4 km circuit of Jerez-Ángel Nieto. Energica Motor Company will be integral to this new era of motorsport as single manufacturer for the FIM Enel MotoE™ World Cup, which will debut in 2019. At EICMA last week, Energica unveiled the Ego Corsa 2019, available for the 12 teams and 18 riders involved in the competition. The R&D Team worked intensively during these months with Official Tester Alessandro Brannetti: exhaustive trials were performed with an updated version of the 2019 Ego Corsa prototype, which had its World Premiere at EICMA 2018. Thanks to the great feedback received from motorcycling legends like Colin Edwards, Tetsuya Harada, Max Biaggi, Mick Doohan and others, Energica has decided to satisfy its most demanding customers with a new racing kit inspired by Ego Corsa. The Italian Manufacturer is preparing a new kit designed for closed circuit use only and named “Kit Corsa Clienti”. Kit Corsa Clienti is inspired by the same performance-enhancing philosophy that has accompanied the development of the EGO CORSA motorcycles that will participate in the first FIM Enel MotoE™ World Cup. This new kit will take riding experience to another level, and give every customer the chance to achieve their Energica Ego’s complete potential on the racetrack. Kit Corsa Clienti is available upon request only. Estimated delivery time = 3 months. The Ego Sportbike, selected in 2017 as MCN’s “Electric Bike of the Year”, is now offered with brand new graphics and color. 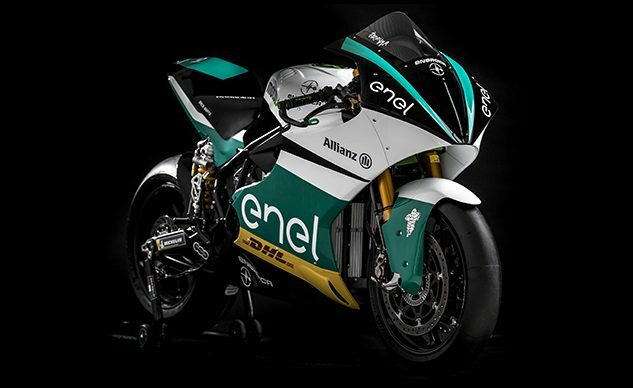 With this new look, Energica has decided to honor the immense development activity that the technical team is carrying out for the upcoming FIM Enel MotoE World Cup, where Energica will be the Single Manufacturer. This racing experience will be a unique test bench for the ongoing development not only for these racing bikes but also for Energica road bikes for sale to the general public. Energica is the only electric motorcycle company in the world to have this competitive advantage. The new color is inspired by the test prototype of the Ego Corsa 2019 and honors the partners who have supported Energica with such great enthusiasm. Energica MY2019: Electronics and new features. Electronics: Standard for MY2019 Motorcycles. – Traction Control: A sophisticated traction control system configurable for six levels of intervention will combine the existing eABS and the Bosch ABS for an even more exciting, yet safe riding experience. – Cruise Control: Each Energica bike will be equipped with a sophisticated cruise control system that uses the electronic brake to maintain speed and increase braking energy. – New Electronic Throttle Control: New command increases the (already high) safety standards present on Energica motorcycles and increases the linearity and precision of the torque control. 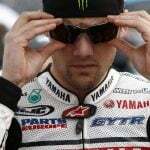 The new system will be able to detect throttle rotations below 0.01 ° (one hundredth of a degree). 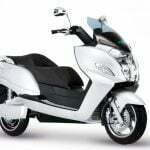 – New “Electric Beat” Light: The Energica MY2019 will keep the luminous “Electric Beat” that has always distinguished these Italian electric bikes, with one more feature: the “Electric Beat” now includes a new function indicating progress during the charge. – Heated Grips: New standard heated grips on MY2019 can be activated by a dedicated control on the right handlebar, with four different power levels shown on the dashboard (OFF + 3). 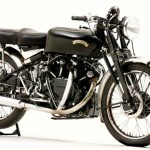 Software Upgrades: Available from January also for bikes already produced. – Charge Interruption at a Pre-set Level: The vehicle can be configured to autonomously stop the charge at a certain level. The user can configure this function through the dashboard. – Battery Charger: Improvements on the cooling management of the on-board charger. It will be possible to activate a “silent” charging mode. – More Charge / Less Time: New software will increase the charge current in Fast Charge, so reducing the charging time by 15%. Energica is the only street motorcycle with Fast Charge capability as standard, currently allowing 0 – 85% charge in just 25 minutes – this will now be reduced by a further 15%. Together with the electronic features listed above, all Energica MY2019 motorcycles will be on sale with Fast Charge, Dashboard TFT color display 4.3’’, four Engine Maps: Urban, Eco, Rain, Sport – four Regenerative Braking Maps: Low, Medium, High, Off – and Park Assistant as standard. This combination of standard features is unique and currently available on no other street motorcycle, electric or internal combustion, for sale in the world. New 2019 models with the featured noted above will be available in the U.S. market beginning in February 2019. More information on www.energicamotor.com and www.energicamotorusa.com.